Coach Dan Masters announced at the PCSC Annual Members Meeting that the Illinois State High School Clay Target League 2018 season is about to kick off. Team sign-up will begin in the coming weeks. High school teams from around the state will compete in weekly competition beginning in April and culminating with the State Championship Tournament in June. Prairie Central High School has fielded a strong team in past years and we look forward to a strong showing for 2018. PCHS students watch for team sign-up announcement to come out soon! Prairie Central Sportsmens Club will host a New Years Day Shoot on Monday, January 1, 2018 beginning at 11:00 am. We will shoot a 50 bird derby followed by a 3-man protection. Come out and start the new year with a bang! 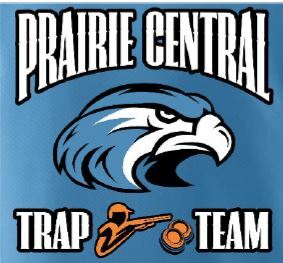 Prairie Central Sportsman’s Club and Livingston County Pheasants Forever are joining together in support of the Prairie Central High School Trap Team. Members of both organizations will be selling raffle tickets to raise funds for the team. Raffle prizes include a Winchester SXP 12 ga trap gun and cases of shotgun shells. Tickets are $10 each. The drawing will take place on March 19, 2018.